Your client’s brand is everything to them. It’s not only what their business represents, but also a reflection of how their customers perceive them. 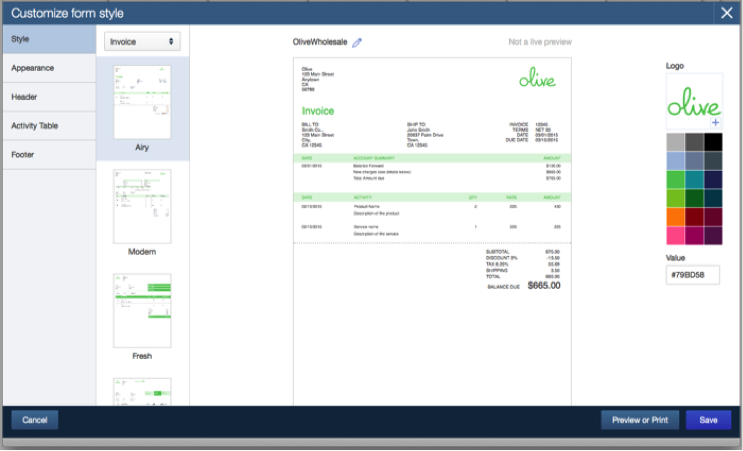 Until now, customizing invoices, estimates and receipts has been limited in QuickBooks Online (QBO); now, the new Sales Form Customization feature will enable sending forms with a more professional look that showcases their brand. 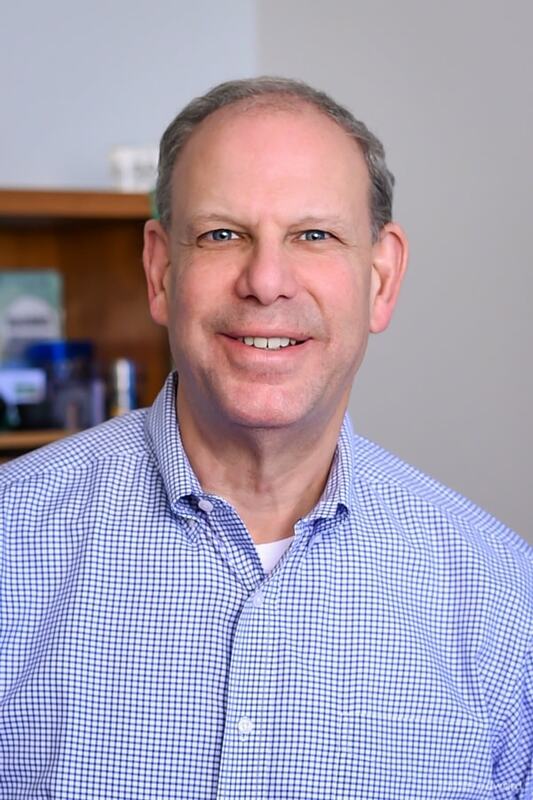 The long time spent of using another tool for creating and sending sales forms outside of QuickBooks, and having to manually enter into QBO, is a thing of the past! Going a step further, your clients can now create custom branded forms that help their businesses look professional and reinforce their brand with their customers. Clients can put their creative hat on, choosing from five out-of-the-box layouts and can also import and resize logos. 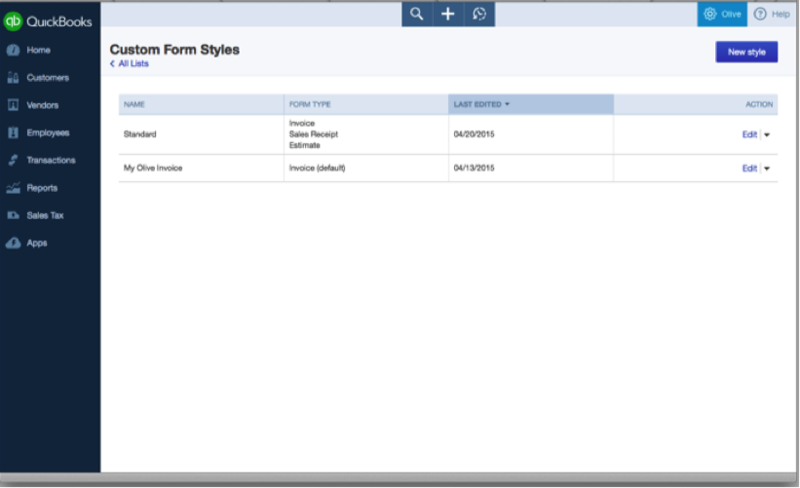 Each form type can have multiple saved styles. Accounting. This one tool can both record and bill at the same time, saving your clients time they can put into helping their business grow. Two tools for one job when sending sales forms? That’s a win-win! Accuracy. Increases accuracy in tracking sales by not having to record invoices in QuickBooks separately from sending invoices outside of software. Brand, brand, brand. Literally, the look, feel and touch of your clients’ brand are right at their fingertips. QBO now allows them to create the experience that best represents them and their business, all in one place. The new customization feature in QBO is all about making your clients’ lives easier and more productive. Introduce this new feature in QBO to get them on the path toward a more powerful brand, and ultimately, a more thriving business.